Giovanni Arrighi was born and grew up in Milan, Italy. He attended the Bocconi University in Milan, which was then a stronghold of neoclassical economics. Upon finishing his university degree, Arrighi obtained a job as a manager trainee with the multinational firm Unilever. He was also invited by his dissertation supervisor to serve as an assistente volontario, the first step on the university career ladder at the time in Italy. In 1963 he accepted a job offer as a lecturer in economics at the University College of Rhodesia and Nyasaland (UCRN) in Salisbury (now Harare, Zimbabwe).At UCRN, under the influence of social anthropologists Clyde Mitchell and especially Jaap Van Velsen, Arrighi was reborn intellectually and began what he called his “long march from neoclassical economics to comparative-historical sociology.” [nlr interview, p.62] During the three years in Zimbabwe, he moved away from abstract mathematical modeling toward grounded historical analyses of proletarianization and the political economy of settler capitalism. He completed the research for two seminal pieces that were to have a major impact in the field of African Studies in this period: The Political Economy of Rhodesia (1966) and “Labor Supplies in Historical Perspective: A Study of the Proletarianization of the African Peasantry of Rhodesia” (1969).Because of political activities in opposition to white-minority rule, Arrighi and eight other lecturers at UCRN were arrested in July 1966. He was jailed for a week and then deported. Arrighi immediately received a job offer from the University College of Dar es Salaam in Tanzania. During these years, Arrighi continued to write on the political economy of Rhodesia and also began a collaboration with John Saul that resulted in joint articles focused on the African national liberation movements and the emerging neocolonial governments. Dar Es Salaam in those years was a point of attraction for intellectuals and activists from around the world. It was in Dar Es Salaam that Arrighi met Luisa Passerini (one of the co-founders with Arrighi in 1969 of the Gruppo Gramsci in Italy) and Immanuel Wallerstein (who was to become director of the Fernand Braudel Center in Binghamton and collaborator with Arrighi on a number of projects.). In 1969, at the height of the student and workers’ movements, Arrighi returned to Italy and taught Sociology for two years at the University of Trento; he then taught two more years as a fellow at the Advanced School of Education in Sociology in Milan. In the early 1970s, Arrighi (along with Passerini and Romano Madera) founded the Gruppo Gramsci, which established workers’ collectives in the factories with the aim of creating Gramscian organic intellectuals. During this time he published important articles on capitalist crises. In 1973, Arrighi received a joint appointment in the Sociology and Economics Departments at the newly established University of Calabria in Cosenza in southern Italy, where he taught for several years. While there he conducted collaborative research on proletarianization and social conflict in Calabria; he also completed The Geometry of Imperialism during this time period. Invited by Immanuel Wallerstein and Terence Hopkins, Arrighi moved to the United States in 1978 to join the Sociology Department and the Fernand Braudel Center at the State University of New York at Binghamton. It was during this time that the Fernand Braudel Center became known as the main center of world-systems analysis, attracting scholars from all over the world. There, Arrighi developed his theory of historical capitalism, in which he described a series of systemic cycles of accumulation dating back to the fourteenth century, with financial expansions marking the beginning/end of each systemic cycle of accumulation. Arrighi conceptualized these periods of financial expansion as phases of major systemic reorganization in which, among other things, the geographical epicenter of world capitalism shifted. The eventual result of his studies of the origins and evolution of global capitalism was an unplanned trilogy that took 25 years to complete: In 1994, he published The Long Twentieth Century: Money, Power, and the Origins of Our Times, which reinterpreted the evolution of capitalism and argued that the origins of capitalism were to be found in the marriage of Iberian political power and Genoese financial power. Arrighi’s theoretical account of the origins and evolution of capitalism built on insights from Fernand Braudel, but differed in important respects from Wallerstein’s account of the origins of the modern world system, which emphasized the crisis of feudalism. In 1999, Arrighi published Chaos and Governance in the Modern World System (co-written with Beverly Silver), which compared the transitions from Dutch to British world-hegemony and from British to U.S. world hegemony with the contemporary crisis of U.S. world hegemony. The third book– Adam Smith in Beijing: Lineages of the Twenty-first Century– was conceived in Binghamton but researched and written after Arrighi had joined the Sociology Department at The Johns Hopkins University in 1998. Published in 2007, it compared Western and East Asian paths of development and explored the late-twentieth century shift in the epicenter of capital accumulation to East Asia and China’s rise as an economic power. 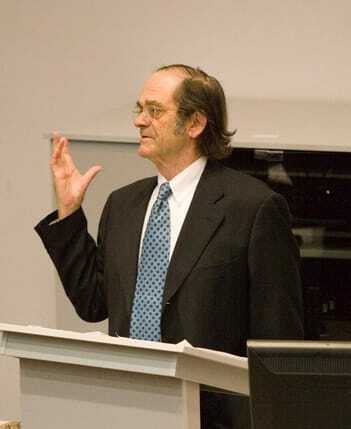 Arrighi had several new projects in motion in 2008, including a book on the foundations of global inequality and development; he had also returned to work on questions of African development and underdevelopment. In July 2008, Arrighi was diagnosed with cancer. He continued to teach and write during a year-long battle with the disease, including writing a new postscript for the second edition of The Long Twentieth Century and a widely-read retrospective interview with David Harvey published in New Left Review. Arrighi died on June 18, 2009. Giovanni Arrighi, “The Political Economy of Rhodesia”, New Left Review, 39, 1966. Giovanni Arrighi, The Political Economy of Rhodesia. Mouton, The Hague, 1967. Giovanni Arrighi and J.S. Saul, “Socialism and Economic Development in Tropical Africa“, The Journal of Modern African Studies, VI, 2, 1968. Giovanni Arrighi, “Labour Supplies in Historical Perspective: A Study of the Proletarianization of the African Peasantry in Rhodesia”, Journal of Development Studies, 6, 3, 1970. Giovanni Arrighi, “International Corporations, Labor Aristocracies and Economic Development in Tropical Africa”, in Giovanni Arrighi and John Saul, Essays on the Political Economy of Africa, Monthly Review Press, New York, 1973. Giovanni Arrighi, “Una Nueva Crisis General Capitalista“, Politicos, 8, 1976. Giovanni Arrighi, “Towards a Theory of Capitalist Crisis”, New Left Review, no. 111, September-October 1978. Giovanni Arrighi, “Fascism to Democratic Socialism: Logic and Limits of a Transition“, in G. Arrighi, ed., Semiperipheral Development: The Politics of Southern Europe in the Twentieth Century. Beverly Hills, Sage, 1985. Giovanni Arrighi, T. Hopkins, and I. Wallerstein, “Dilemmas of the Anti-Systemic Movements“, Social Research, 53, 1 (Spring 1986). Giovanni Arrighi and Jessica Drangel, “The Stratification of the World-Economy: An Exploration of the Semiperipheral Zone”, Review (Fernand Braudel Center), 10, 1, 1986. Giovanni Arrighi, “Custom and Innovation: Long Waves and Stages of Capitalist Development,” Technological and Social Factors in Long Term Fluctuations. M. Matteo, R. Goodwin, A. Vercelli, eds. 89-113, 1986. Giovanni Arrighi and Fortunata Piselli, “Capitalist Development in Hostile Environments: Feuds, Class Struggles, and Migrations in a Peripheral Region of Southern Italy”, Review (Fernand Braudel Center), 10, 4, 1987. Giovanni Arrighi, “The Developmentalist Illusion: A Reconceptualization of the Semiperiphery”, in W.G. Martin, ed., Semiperipheral States in the World Economy, Greenwood Press, Westport, CT, 1990. Giovanni Arrighi, “Marxist Century, American Century: The Making and Remaking of the World Labour Movement”, New Left Review, 179, 1990. Giovanni Arrighi, “World Income Inequalities and the Future of Socialism,” New Left Review, 189, 1991. Giovanni Arrighi, “The Rise of East Asia and the Withering Away of the Interstate System,” Journal of World-Systems Research II, 15, 1996. Giovanni Arrighi, R. Korzeniewicz, D. Consiglio, T. Moran, “Modeling Zones of the World-Economy; A Polynomial Regression Analysis (1964-1994)“, 1996 Annual Meeting of the American Sociological Association. Giovanni Arrighi, “Financial Expansions in World Historical Perspective. A Reply to Robert Pollin,” New Left Review, 224, 1997. Giovanni Arrighi, “Capitalism and the Modern World-System: Rethinking the Non-Debates of the 1970s,” Review (Fernand Braudel Center), XXI, 1, 1998. Giovanni Arrighi, “Globalization and the Rise of East Asia. Lessons from the Past, Prospects for the Future,” International Sociology, XIII, 1, 1998. Giovanni Arrighi, “The Global Market.” Journal of World-System Research, V, 2, 1999. Giovanni Arrighi, “Globalization and Historical Macrosociology,” in Janet Abu-Lughod, ed., Sociology for the Twenty-First Century: Continuities and Cutting Edges. Chicago: Chicago University Press. 2000. Giovanni Arrighi and Beverly J. Silver, “Workers North and South” in The Socialist Register 2001. Merlin Press, 2000. Giovanni Arrighi, “Braudel, Capitalism and the New Economic Sociology”, Review (Fernand Braudel Center), 24, 1, 2001. Giovanni Arrighi, “Global Capitalism and the Persistence of the North-South Divide,” Science and Society, LXIV, 4, 2001. Giovanni Arrighi, “The African Crisis: World Systemic and Regional Aspects”, New Left Review, II, 15, 2002. Giovanni Arrighi, “Lineages of Empire.” Historical Materialism 10, 3, 2002. Giovanni Arrighi, Beverly J. Silver and Benjamin D. Brewer, “Response to Alice Amsden“, Studies in Comparative International Development, 38, 1, 2003. Giovanni Arrighi, “The Social and Political Economy of Global Turbulence.” New Left Review II, 20, 2003. Giovanni Arrighi, “Spatial and Other ‘Fixes’ of Historical Capitalism.” Journal of World-Systems Research, X, 2, 2004. Giovanni Arrighi, “Hegemony Unraveling–I.” New Left Review II/32, 2005. Giovanni Arrighi, “Hegemony Unraveling–II.” New Left Review II/33, 2005. Giovanni Arrighi, “Α La Recherche de L’État Mondial.” Actuel Marx 40, 2006. Giovanni Arrighi, “States, Markets, and Capitalism, East and West.” positions 15: 2, 2007. Giovanni Arrighi (interviewed by David Harvey), “The Winding Paths of Capital”, New Left Review, II/61, 2009. Giovanni Arrighi. Postscript to the Second Edition of The Long Twentieth Century: Money, Power and the Origins of Our Times, Verso, New York, 2010. Giovanni Arrighi and Lu Zhang, “Beyond the Washington Consensus: A New Bandung?” Forthcoming in Globalization and Beyond: New Examinations of Global Power and Its Alternatives, Jon Shefner and Patricia Fernandez Kelly (editors), Penn State University Press, 2010. Giovanni Arrighi, “Autobiography”, prepared for The Encyclopedia of Comparative Sociology. Arrighi, G. (2010). The Long Twentieth Century: Money, Power and the Origins of Our Times. New York: Verso Books. Arrighi, G. (2009). Adam Smith in Beijing: Lineages of the 21st Century. New York: Verso Books. Arrighi, G., & Silver, B. (1999). Chaos and Governance in the Modern World System. Minneapolis: University of Minnesota Press. Arrighi, G., Hopkins, T., & Wallerstein, I. (1997). Anti-Systemic Movements. New York: Verso Books. Arrighi, G. (1983). The Geometry of Imperialism: The Limits of Hobson’s Paradigm. New York: Verso Books. Arrighi, G., & Saul, J. (1973). Essays on the Political Economy of Africa. Monthly Review Press.